We have hundreds of Shakeology recipes on the Beachbody Blog: shakes, energy balls, no-bake brownies, pies — the list is endless! 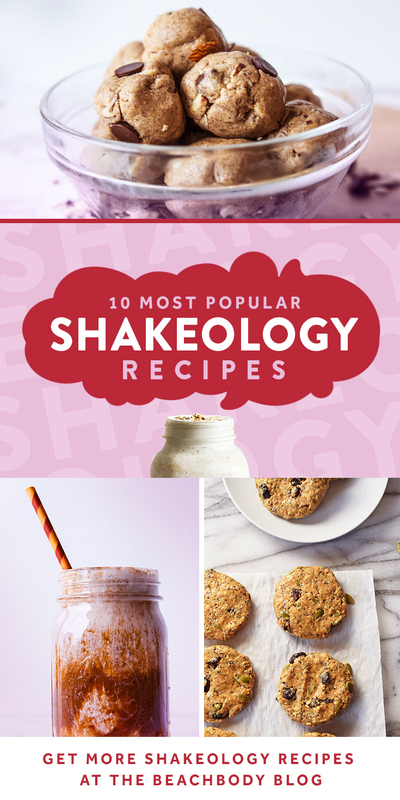 And in honor of Shakeology’s 10-year anniversary/birthday, we’ve compiled a top 10 list of the most popular Shakeology recipes. 1. You guys really, really, REALLY like peanut butter. 2. The most popular Shakeology recipe is actually NOT a shake. 3. Did we mention you guys like peanut butter? Check out our top 10 and see if any of your favorites made the list! 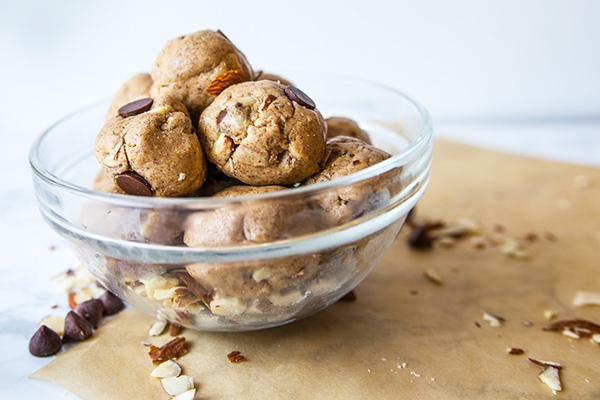 This no-bake recipe combines Vanilla Shakeology with almond butter, raw almonds, and chocolate chips for a protein-packed snack that is sure to satisfy. Sweetened with a touch of raw honey, the recipe makes 13 Cookie Dough Balls, so you’ll have plenty to share (or not). Store them in the fridge until they’re ready to enjoy. If you’ve ever wondered where Super Trainer Tony Horton gets his energy, this recipe might provide some answers! 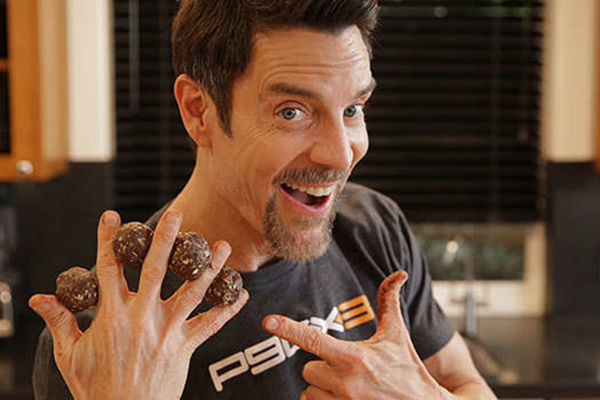 Tony’s recipe for no-bake energy balls is just oats, almond butter, honey, nuts, and Vegan Chocolate Shakeology for an easy, quick snack. It’s as easy as mixing a few ingredients together, rolling them into bite-sized balls, and sticking them into the refrigerator. By the time you finish your workout, you’ll have an amazing and nutritious snack waiting for you. When you’ve just gotta have peanut butter, skip the not-so-healthy candies and make this Nutty Butter Shakeology instead. 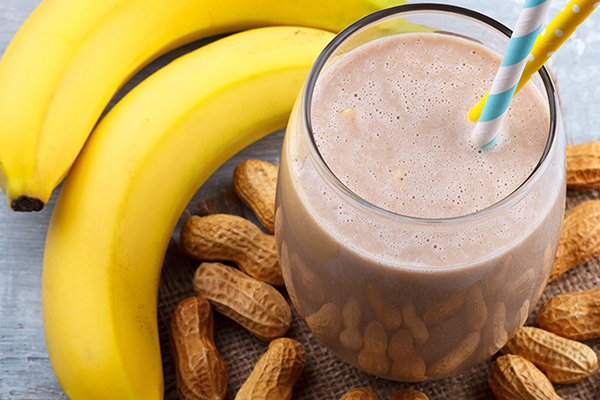 To get this creamy, nutty smoothie, all you need is Vanilla Shakeology, all-natural peanut butter, some banana, reduced-fat (2%) milk, and walnuts. Craving pumpkin pie, but don’t want to wreck your diet? 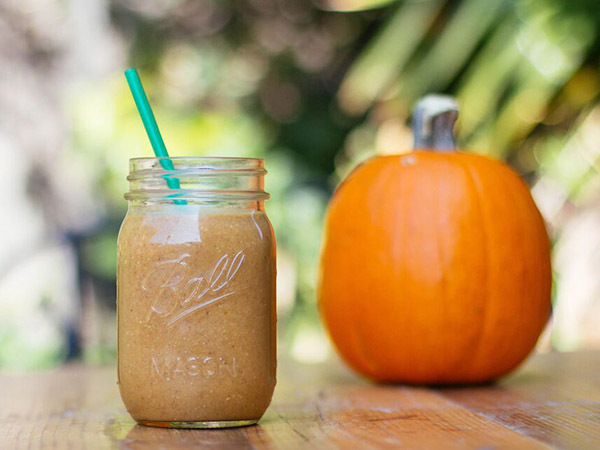 This pumpkin pie smoothie has all of the warm spice and sweetness of the iconic dessert, and it’s something you’ll feel good about sipping. With real pumpkin puree and pumpkin pie spice, it’s like Thanksgiving in a glass. 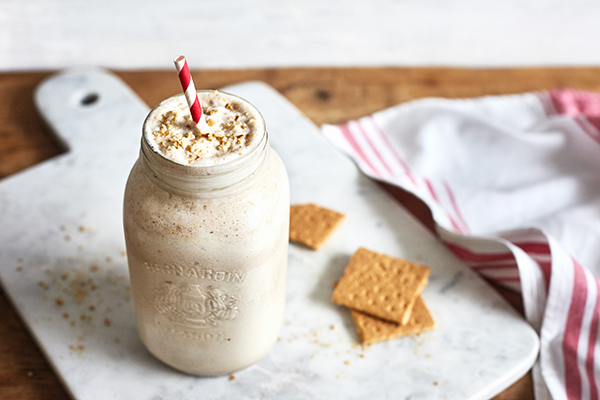 If you love peanut butter cookies, you’ll love sipping this good-for-you Vanilla Shakeology shake blended with almond milk, graham crackers, and peanut butter. This Peanut Butter Cookie Shakeology combines all of the flavors of decadent, nutty cookies into a healthy smoothie. Try cashew or almond butter for a milder flavor, or sprinkle with cinnamon just before serving. Or make it a chocolate peanut butter cookie shake (yes, we went there!) with Chocolate Shakeology instead of Vanilla. 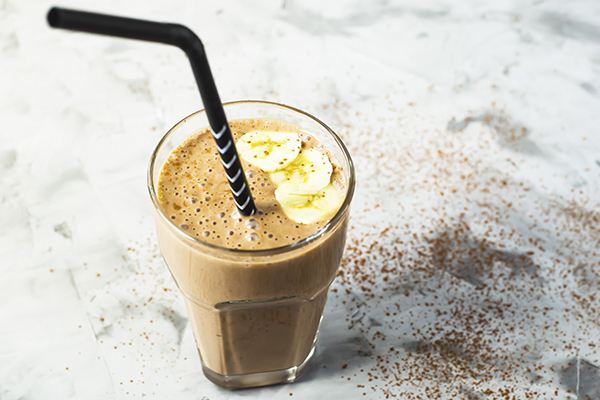 There are few food combinations more deliciously satisfying than peanut butter and banana, and this PB and Banana Latte Shakeology has both — and more! 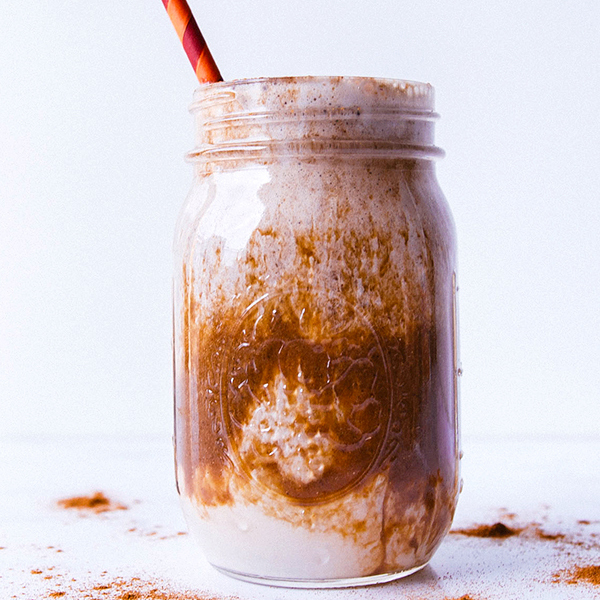 This shake may taste like a rich, decadent treat, but it can help set your day up for success: With a scoop of Café Latte Vegan Shakeology in it, this shake is the perfect complement to a healthy breakfast that has a mix of carbs, protein, and fat. 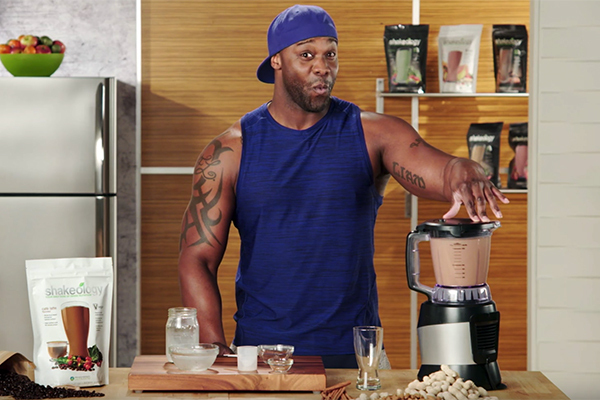 If you’re a peanut butter fan like Beachbody Super Trainer Chris Downing, then this Peanut Butter Cinnamon Smoothie will satisfy your peanut butter craving without going overboard on the fat and calories. Instead of regular peanut butter, Chris uses powdered peanut butter and adds cinnamon for an extra dimension of flavor that helps bring out the smoothie’s peanut buttery-ness. This gorgeous Iced Cinnamon Almond Milk Macchiato is inspired by the pricey iced beverage served at coffeehouses. Both our version and theirs use unsweetened almond milk for flavoring, but unlike the store-bought version, our macchiato recipe is packed with protein and skips the sugary syrups. If you’d rather not drink this beautiful beverage in layers, you can easily turn it into a smoothie by blending all the ingredients together. 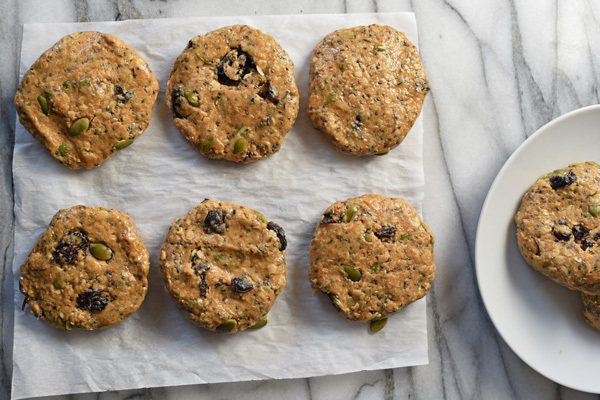 With these peanut butter and honey cookies packed with familiar breakfast ingredients like Vanilla Shakeology, oats, dried fruit, and chia seeds, you really can eat dessert first — first thing in the morning, that is! They’re a healthy breakfast treat, whether you’re too busy to cook or you struggle to grab a bite as you rush out the door. You can whip up a batch of these no-bake breakfast cookies in less than 10 minutes and keep them in the fridge all week. Each batch makes eight large cookies that are surprisingly filling thanks to 9 grams of protein, plus fiber and healthy fats. 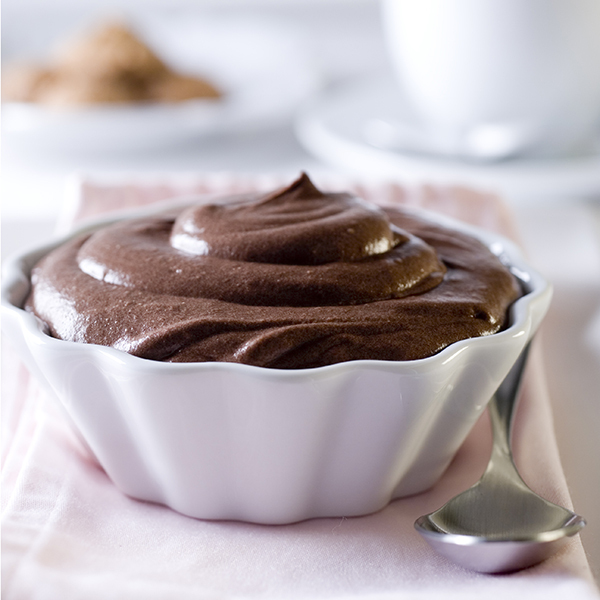 If you want the taste of a chocolate dessert without the fat and calories, try this healthy chocolate pudding recipe made with Shakeology. There are two secret ingredients that create the creaminess of traditional pudding: bananas and avocado!